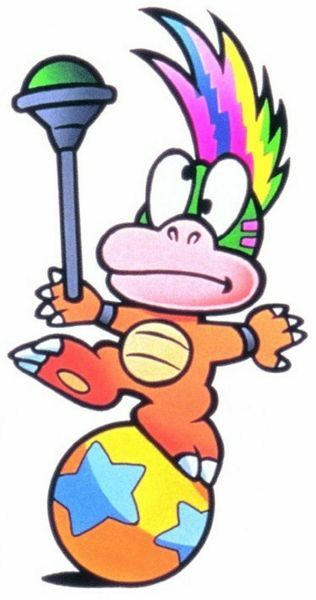 By LUDWIG VON KOOPA - If it was up to me, it'd be called the PayStation 4. In today's news, the crisis at America's borders is reaching an all-time peak in drama; John Kerry is laughed at by Israel; and radical Islamists are persecuting every Christian in Iraq to try and drive them out of the country. So this article will use valuable space and time to talk about the GayStation 4. Some Swedish retailer called Webhallen is auctioning off this PS4 skin to benefit some cause. Normally I wouldn't care. And this is a normal situation. It's being auctioned here, if you want it. It's currently being bid at over $2,500, though. Maybe Sony should start selling these things for a thousand dollars. Wait... there is actually something a little weird here. 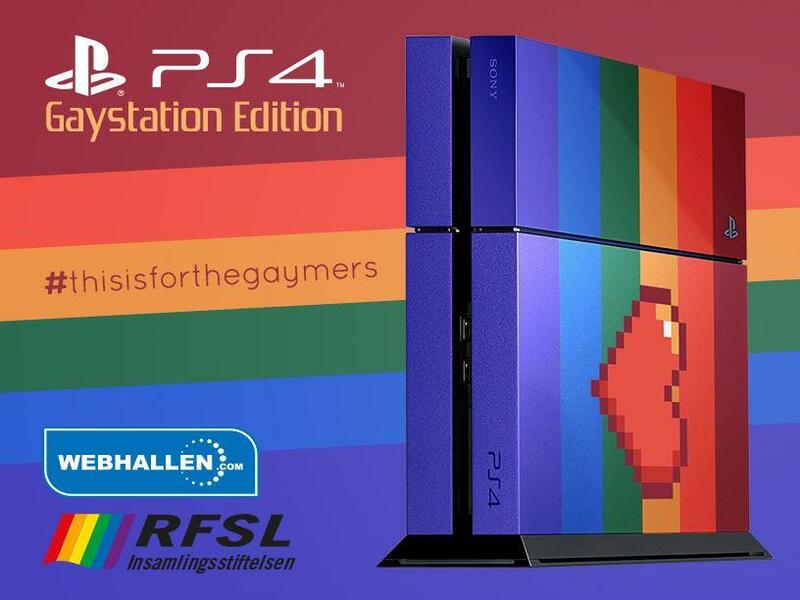 "During Pride week 28/7 - 2/8 [editor's note: That's July 28 to August 2] auctions we, in collaboration with RFSL [editor's note: The Swedish Federation for Lesbian, Gay, Bisexual and Transgender Rights], the world exclusive Playstation 4 - Gaystation Edition! The base unit is the motif painted in rainbow colors and adorned with a pixel-alloy heart. The package also includes four Playstation 4 games of your choice. 100% of the proceeds will go to RFSL Newcomers, RFSL's work with asylum seekers, undocumented migrants and newly arrived LGBTQ people under RFSL Newcomers. The aid is administered by raising foundation RFSL. For many young people, the game world will become a refuge to escape the taunts, or worse, in real life. At Webhallen we are gamers in heart and mind, concerned about that as many as possible have the opportunity to feel welcome and enjoy the world's largest and fastest growing interest; TV & computer games. The auction takes place throughout Pride week, and the winning bidder is then contacted by Webhallen for delivery. We thank you in advance for your bid! The image shows an illustration of the finished product, shipment 1-2 weeks after completion of auction." Webhallen wants as many as possible to play videogames. So they auction to the highest bidder the PlayStation 4? That's certainly strange! You say one thing, but do another! They do normally sell PlayStation 4s, but at a price equal to around $580. That's not really accessible. Shipping is another $7, too! Oh hey, we CAN talk about illegal immigrants! Look! "Undocumented migrants"! We can also talk about how Monaural headsets hurt your ears and are a plague to society, not a gift. On another note, Webhallen is peddling that gay escapism stuff that the LGBT Technology Partnership peddled. So. If you're a homosexual and you illegally enter Sweden, it's okay. The RFSL has got your back! But... If you're just any ordinary illegal immigrant, y'know, sorry 'bout that. You know, the RFSL just doesn't have the resources to save every criminal! But if you win and bid up this PS4, then maybe one more illegal immigrant can be saved from deportation! What is happening at America's southern border is tragic. The border is not secure. It... never was. Central American children are moving through to be human-trafficked into the United States, where they are found (sometimes) and kept here instead of removed. Except they're kept in awful conditions. If you want to read more about it, go somewhere else. It's an on-going story! As for the GayStation 4, I kind of like it from a visual perspective. Sure, it's not worth thousands of dollars (the PS4 isn't worth buying to begin with — you get your choice of four games, but does it even have four games worth getting?) but it looks nice. It's not the first skin that comes to mind as the most desirable way to outfit a game console, but it is what it is! That said, why is it called the GayStation? Just because it's rainbow-coloured? Why not a RayStation? There is nothing inherent about rainbows and hearts that makes something gay! Ludwig is not an owner of the PS4. Rather, he is a proud owner of the Wii U! His NNID is PrinceOfKoopas, so you can check him out on Miiverse. It's another customised PlayStation item... this time going to PewDiePie?! Looks like the Xbox One looks better than the GayStation 4 when customised. There's a Miiverse user who wants Lemmy Koopa to be gay. I'm keeping this spam comment because it enforces my point.